After considerable speculation since Record Store Day, we can reveal that the new album by Boards of Canada Tomorrow's Harvest will be released on Monday 10th June 2013 (Tuesday 11th June in North America) on Warp Records. 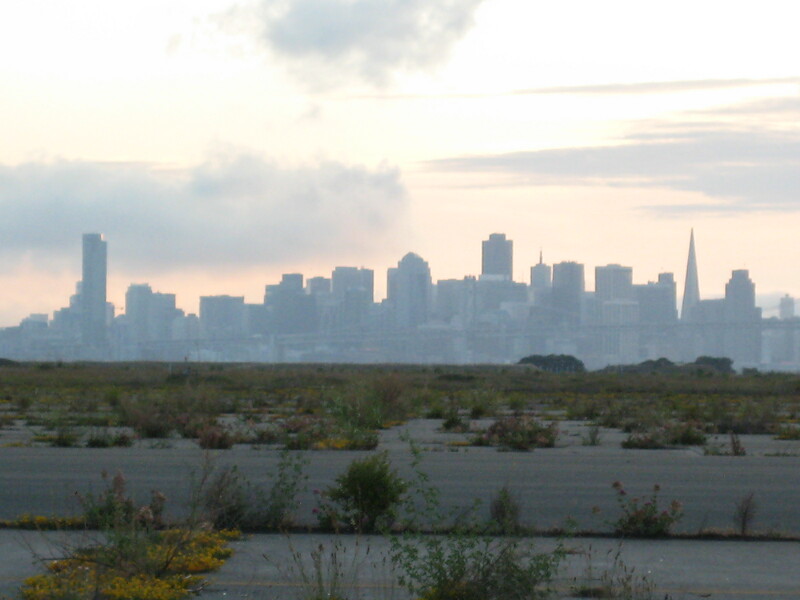 The cover art is the skyline of San Francisco as seen from the runway at the old Alameda Naval Air Station. The Alameda Naval Air Station is where the show MythBusters tests many of their myths which require a large open area or empty road longer than a mile. The number 822 may actually refer to Genesis 8:22, which states, "As long as the earth endures, seedtime and harvest, cold and heat, summer and winter, day and night shall not cease." 822 may also refer to the "last interactive login" on the cosecha-transmisiones website. The login date is 22-AUG-1996 02:57. The North American date would be written as AUG-22 or 8/22. The significance of this date is still under speculation. Another sleeve image is a broken sign with only the letter G visible. This may refer to the G of Christian/Masonic Gnosticism, which is the belief system of the revelation of God through enlightened personal experience instead of religious dogma. The revelations of both God and Satan are recurring themes in BoC's works. According to users on Twoism, the Japanese CD release of the album says "I OVERFLOW MAN" around its rim. One anagram of this is "Owl of Minerva," which, in greek mythology, represents wisdom, and accompanies Athena, goddess of wisdom. A quote of Georg Hegel's connects true wisdom of a culture with its impending destruction. When philosophy paints its gloomy picture then a form of life has grown old. It cannot be rejuvenated by the gloomy picture, but only understood. Only when the dusk starts to fall does the owl of Minerva spread its wings and fly. Boards of Canada posted the following three videos on their official Facebook.com page. The videos are directed by Neil Krug and feature cinematography by David Myrick. Part 2: Tomorrow's Harvest Viral Marketing Campaign. 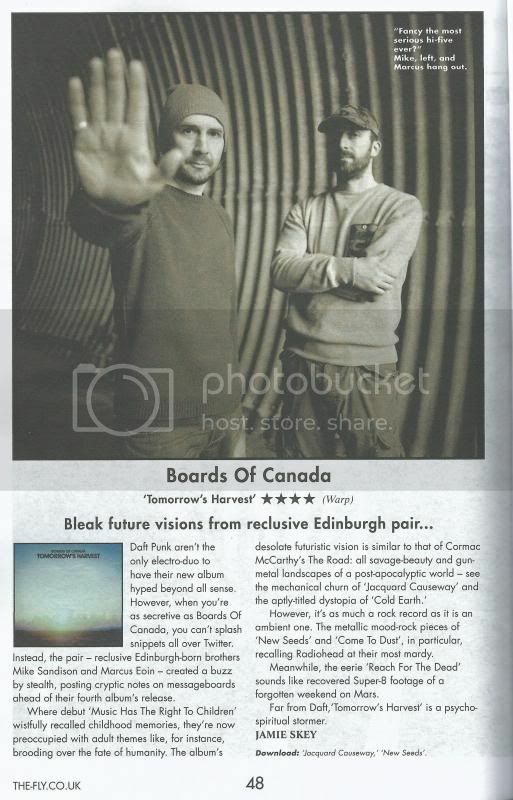 2013-06-14: http://www.mxdwn.com/2013/06/14/reviews/boards-of-canada-tomorrows-harvest/ This is a "High Fidelity" (best new music) review. This page was last modified on 8 January 2016, at 17:01.